Inner ear anatomy, artwork. The structures shown here make up the bony labyrinth or osseous labyrinth. This is comprised of the vestibule (centre), the three semicircular canals (left) and the cochlea (right). The membranous labyrinth (pink) is contained within the bony labyrinth. 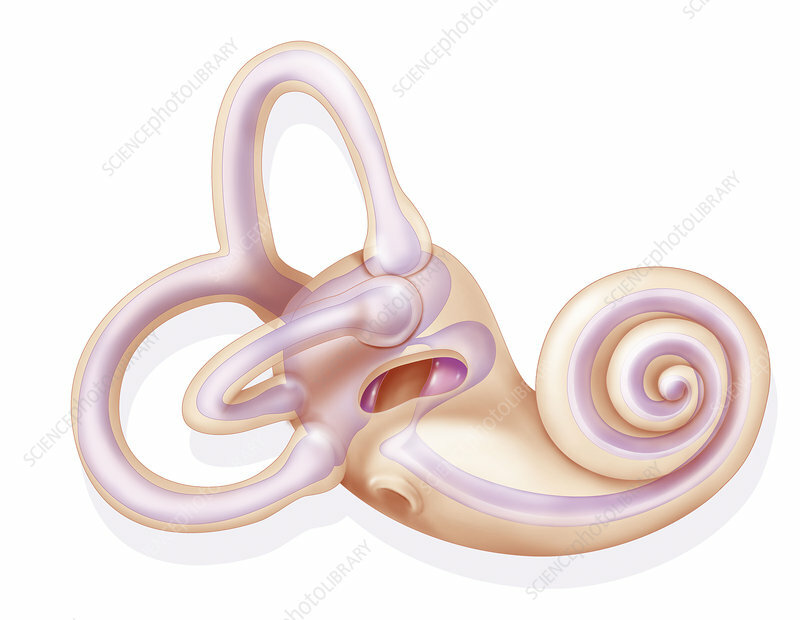 The semicircular canals help produce the sense of balance, while the cochlea is used to detect sounds. Two openings, the oval (centre) and round (lower centre) windows, aid this process.